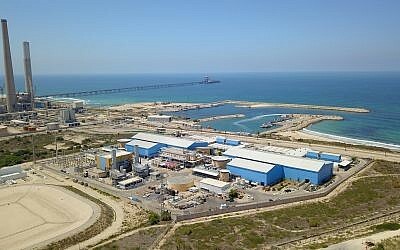 The Ashkelon desalination facility, one of the largest in the world, is one of five plants along the Mediterranean Sea providing Israelis with 65 percent of their drinking water. Seawater reverse osmosis (SWRO) desalination is increasingly used as a technology for addressing shortages of freshwater supply and desalination plants are in operation or being planned world-wide and specifically in California, USA. However, the effects of continuous discharge of high-salinity brine into coastal environments are ill-constrained and in California are an issue of public debate. We collected in situ measurements of water chemistry and biological indicators in coastal waters (up to ~2 km from shore) before and after the newly constructed Carlsbad Desalination Plant (Carlsbad, CA, USA) began operations. A bottom water salinity anomaly indicates that the spatial footprint of the brine discharge plume extended about 600 m offshore with salinity up to 2.7 units above ambient (33.2). This exceeds the maximum salinity permitted for this location based on the California Ocean Plan (2015 Amendment to Water Quality Control Plan). However, no significant changes in the assessed biological indicators (benthic macrofauna, BOPA-index, brittle-star survival and growth) were observed at the discharge site. A model of mean ocean wave potential was used as an indicator of coastal mixing at Carlsbad Beach and at other locations in southern and central CA where desalination facilities are proposed. Our results indicated that to minimize environmental impacts discharge should target waters where a long history of anthropogenic activity has already compromised the natural setting. 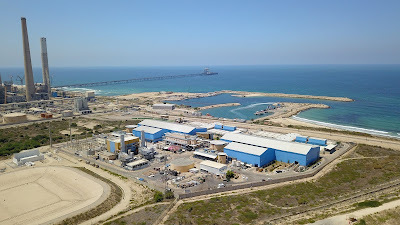 To ensure adequate mixing of the discharge brine desalination plants should be constructed at high-energy sites with sandy substrates, and discharge through diffusor systems. FREE PDF GRATIS: Water Sup. Info.